Yeah, it's a long one today. So it's 5am here in Wilmington and we are packed and ready to go on our first long road trip! 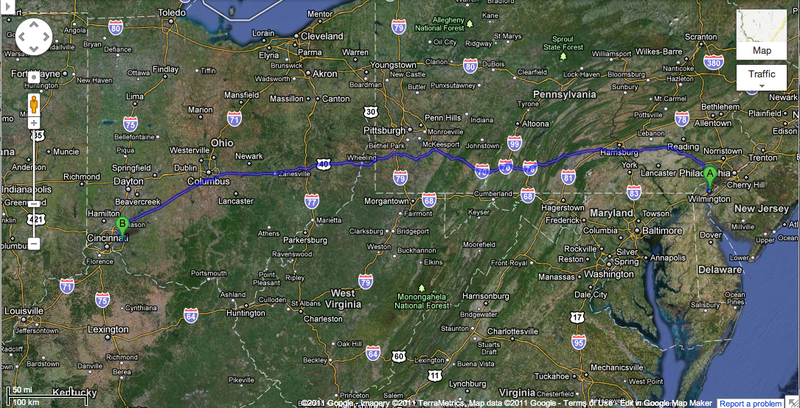 Hopefully arriving before dinner tonight, we'll be in Milford, Ohio until Friday afternoon for a profiling workshop. What's different about this workshop is that it is a gathering together of only OFM Franciscans in our first year. I'm excited to get to meet all the other Postulants across the country, as it is highly likely we'll be living together next year at the Novitiate. I'm not bringing my computer with me so don't expect a post until at least Saturday! Have a great week everyone! Have a great trip, Casey. Delight in the blessings of the father in this glorious autumn. May you have a great workshop with your fellow OFM postulants. God bless. Hope your “road trip” was a good one. Looking forward to your next post. I’ve been praying for all of you.